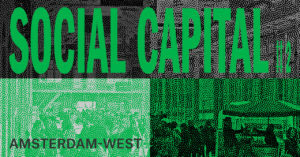 Social Capital #2 Amsterdam-West is supported by the Mondriaan Fund, the Amsterdam Fund for the Arts, and the Prins Bernhard Culture Fund in Noord-Holland. With thanks to LAB111, HW10 and De Hallen. Because of economic and social forces, Amsterdam is expanding rapidly. As a result, the public domain is under increasing pressure. Despite regulations, monoculture and commodification, how can we continue to see public space as a place for imagination and adventure? To address this question, TAAK in collaboration with LIMA launched the multi-year art project Social Capital in early 2018. 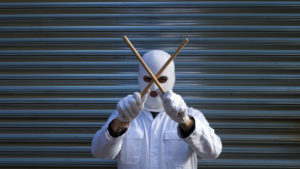 Social Capital consists of interventions, presentations, workshops, performances, videos and installations at unexpected locations in various Amsterdam districts. We invite artists to reflect critically on the rapidly changing city and to establish new links between past, present and future in collaboration with local networks. This will allow us to speculate on surprising forms of public domain not focused solely on consumption and comfort, but as a realm for experiments and encounters. 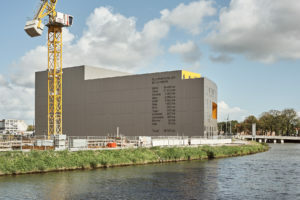 The first edition of Social Capital took place in September 2018 in Amsterdam-Noord, where TAAK is based. Read more about this programme here. 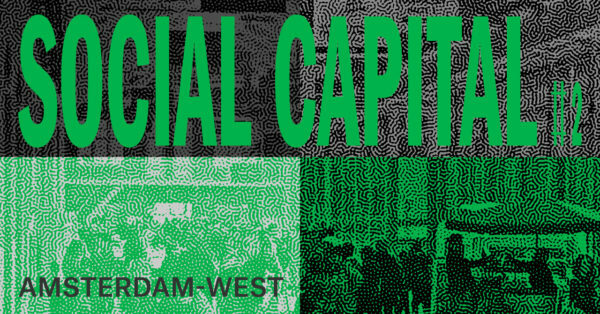 The second edition of Social Capital starts on 23 May 2019 in Amsterdam-West. 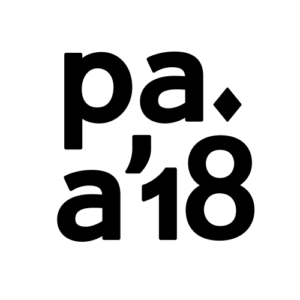 Developed by TAAK and LIMA, the programme includes the following participants: Lyubov Matyunina, Julika Rudelius, Tao G. Vrhovec Sambolec in collaboration with DNK Ensemble, and Bart and Klaar. These artists respond to changes in their immediate surroundings with (sound) performances and video installations at various sites in West. Besides various interventions on May 23 and 24, we will hold a Round-Table discussion at LIMA on Friday 24 May to examine developments and perspectives on gentrification in relation to art. Julian Jansen, senior urban planner at the municipality of Amsterdam, will offer insight into the daily practice of area development in Amsterdam. Julika Rudelius, Tao G. Vrhovec Sambolec and Lyubov Matyunina will then discuss their visions and methods. Artists Bart and Klaar will close the event with the presentation of ‘We>me.me’, a collective blog about different forms of ‘we’. Writer and journalist Chris Keulemans will moderate the event and provide context. The programme takes place at various locations in Amsterdam-West. One of them is De Hallen, occupied by the Amsterdam municipal transport company until 1996 and transformed in 2014 into a hub for cinema, restaurants, culture and shopping. The old bike repair shop, a sheltered workshop and a branch of the public library are also housed here. Another location is Broedplaats HW10, a neighbourhood project set up by local artists for emerging talent and social initiatives. Then there is LIMA, located in LAB111 in the monumental building of the former pathological and anatomical laboratory in Amsterdam Oud-West. 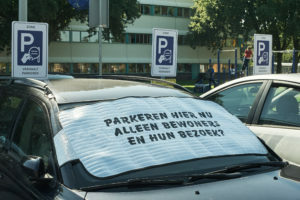 Finally, an intervention will be made in the public space on Pesthuislaan, on the grounds of the Wilhelmina Gasthuis.